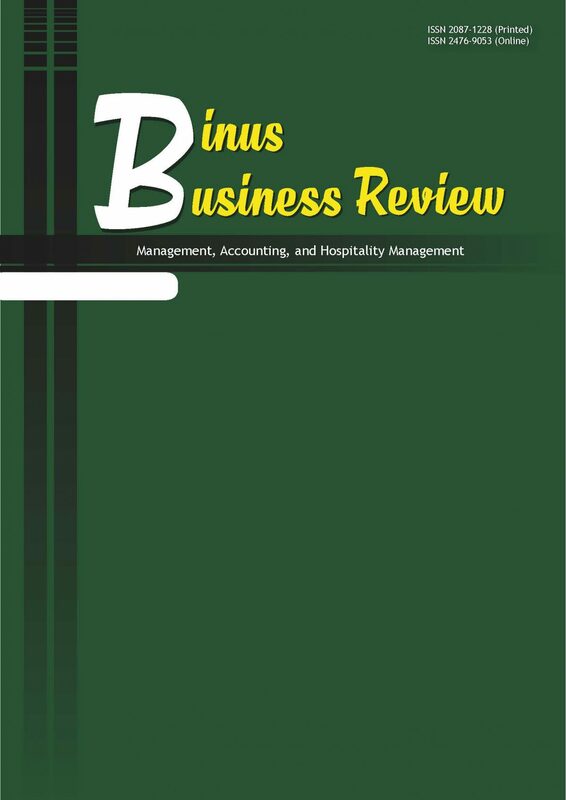 Binus Business Review is an international journal published in March, July, and November hosted by the Research and Technology Transfer Office (LPPM) of Universitas Bina Nusantara. The journal contents are managed by School of Business Management, Faculty of Economics and Communications, and Forum Manajemen Indonesia (FMI). Since 2017, it is accredited by the Ministry of Research, Technology and Higher Education under the decree number 51/E/KPT/2017. BBR provide a forum for lecturers, academicians, researchers, practitioners, and students to publish empirical multidiscipline research in business & management research, from operations to corporate governance and accounting to marketing. All empirical methods including, but not limited to, qualitative, quantitative, field, laboratory, meta-analytic, and mixed methods are welcome. Please read the author guideline and use our template from this link. Submit your paper by clicking this link. For more information about this journal please refer to the journal page or contact research@binus.edu.